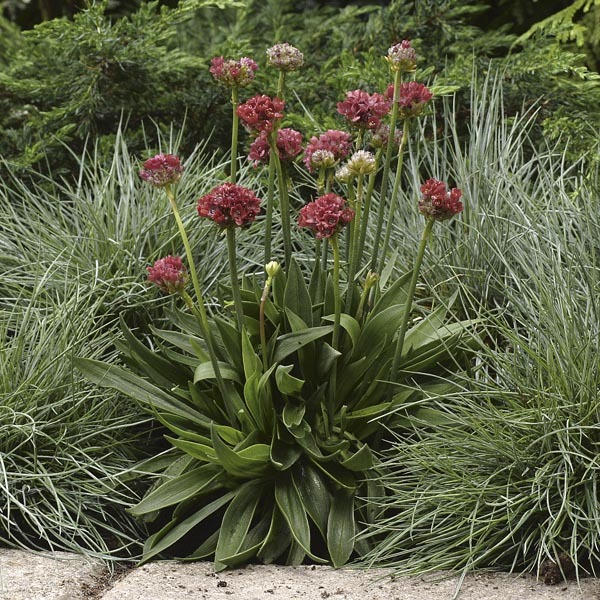 An award-winning combination of evergreen foliage and flowers that bloom all summer long. The unique balls of dainty flowers are held high above a neat mound of foliage on thick, stiff stems. The vertical lines and globed flower form add an architectural element to the garden. Perfectly sized for rock gardens and border fronts. Perfect for all kinds of containers. Combines beautifully with small ornamental grasses. Tolerant of seaside conditions. Best if planted in gritty, sharply drained soil. Allow soil to dry between thorough waterings. Remove faded flowers for best display.